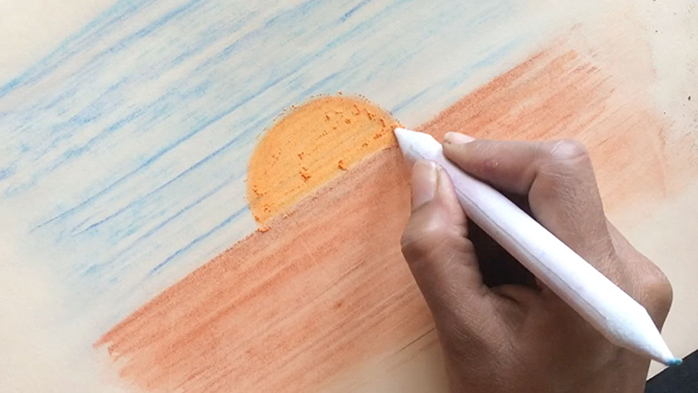 Pastels are a dry medium and produce lots of dust, which if inhaled can cause respiratory irritation. Many of the pigments used in pastels are toxic which can cause poisoning. To avoid this use aluminum foil to create gutter below your painting to collect dust. Don’t blow on the surface instead of that lightly tap on the drawing surface and collect the loose dust in a container. In case of indoor workstation, use facemask to prevent inhaling the dust.